These beautiful chess pieces have been hand-picked by Judit Polgar. They are supplied in a beautiful divided, felt-lined walnut veneer box (Length: 9½ inches; Width – 6 inches; Height – 4½ inches). The boxwood pieces are weighted – approximately two pounds for the entire set, including two queens for each color. 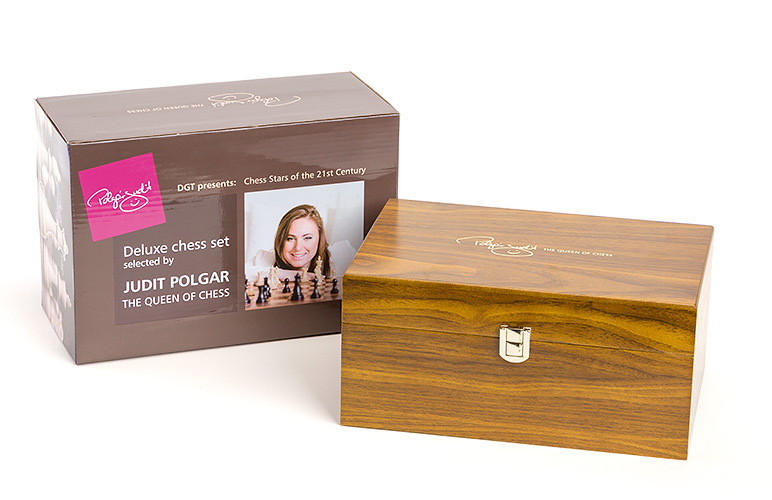 The top of the walnut box also bears the facsimile signature of Judit Polgar. NB: Pieces cannot be used with DGT eBoards.